The Private Plate Company has sold tens of thousands of personalised vehicle registrations since trading began in 1993, emphasising it’s position as one of the UK’s leading online retailers in this industry. Director Martyn Davies was looking for a solution to replace the reams of paper based customer records as the company client base continued to expand. Searching for callers' information was slow and cumbersome which caused inconvenience to customers whilst waiting on a phone call. IT Sorted delivered a bespoke database which holds all customer records, incorporating custom reports and data import/export facilities. Office staff now have information at hand to serve customers easily when handling phone calls. 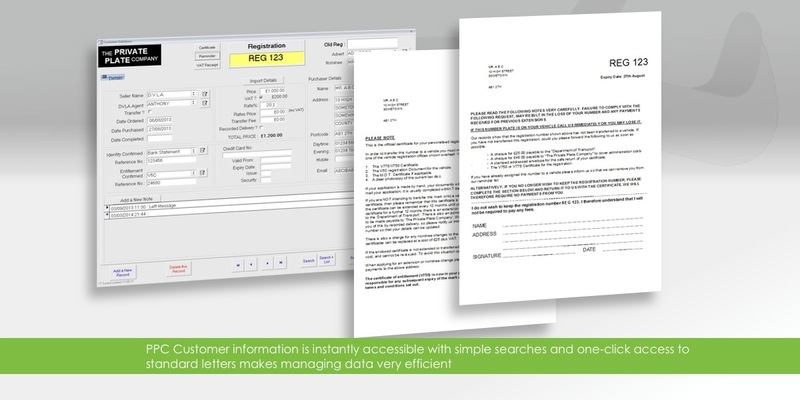 Additionally, it is now quick and easy to produce standard reminder letters and certificates with a click of a button.